The soldier left his unit yesterday during military activity, and has since disappeared. Searches concentrated in central Golan. Searches are underway in the Golan Heights to find a IDF soldier who left his unit on Wednesday during military activity and has since disappeared. 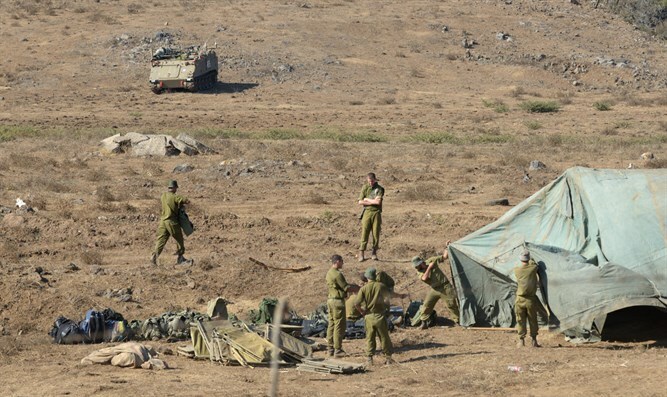 The searches are focused on the Katzrin area in the central Golan Heights, where the missing soldier was last seen. In 1997, soldier Guy Hever vanished from his Golan Heights base on August 17, 1997 and has not been seen since. His disappearance is considered unprecedented in the IDF's history. No other soldier has vanished during a period of such relative calm. Many minds have dedicated themselves to solving the mystery, with theories ranging from him having run away to the soldier being abducted by the Syrians. One theory says that he went to spend some time alone, and became trapped in one of many caves that exist in the Golan Heights. They point to his friends' testimony that he seemed troubled, and wonder why the IDF has never found anything that would point to his fate.